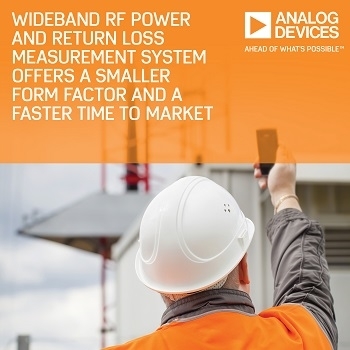 Analog Devices has launched a 9 KHz to 7 GHz directional bridge and dual RMS RF power detector that can simultaneously measure forward and reverse RMS power levels in a signal path along with return loss. The new ADL5920 detector represents a change to conventional approaches by integrating a directional bridge-based coupler that results in an industry leading level of integration and bandwidth. For space-critical applications, the ADL5920 integrates the coupling or sensing function with the detection function and provides an output that can drive a precision analog-to-digital converter (ADC) directly. For wideband operation or for frequency variants, this detector eliminates the need to choose a different directional coupler for each frequency. 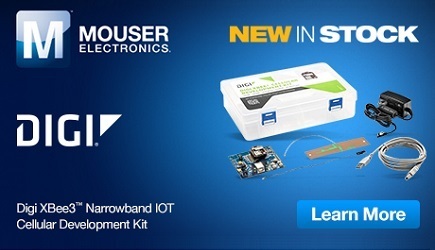 This integrated, wideband device supports smaller form factors and faster product time to market.